So after being up for 19 hours yesterday, I find myself in my happy spot this morning. Sitting outside having the best cup of coffee. 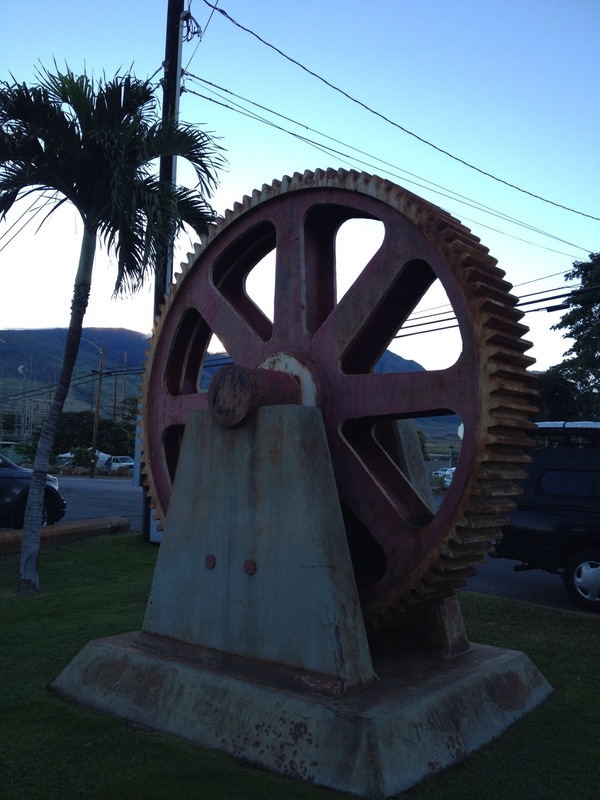 The next few posts will be devoted to our travel in Maui. Enjoy and please forgive the pics as I am experimenting and doing this all via phone. The morning started early. And I mean early a 5:30 wake up from a little one who wanted to go swimming. 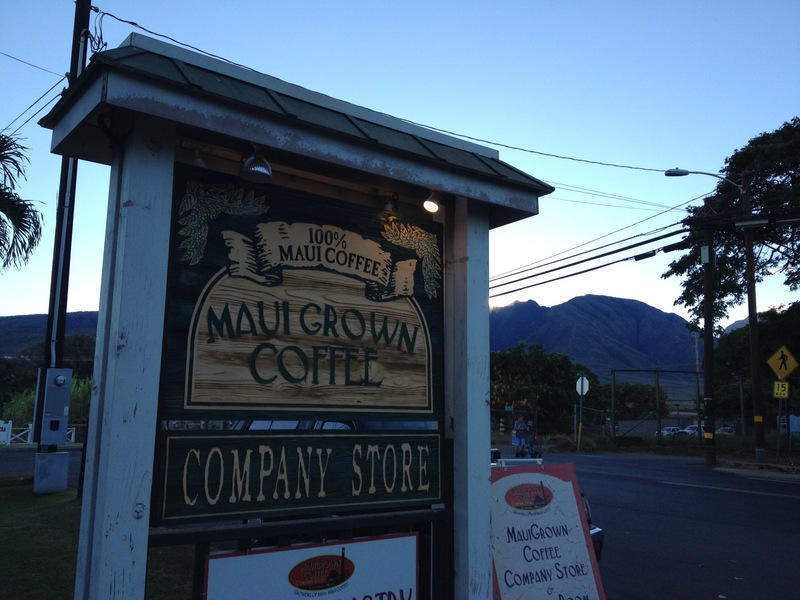 So I took the opportunity to wait an hour for Maui Grown coffee to open to go get coffee for the week. 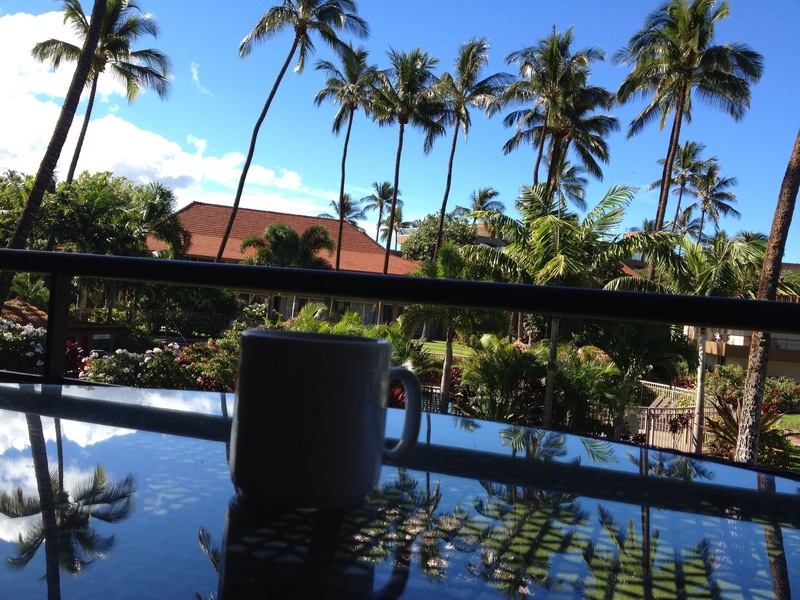 This is an amazing place for local maui grown, hence the name, coffee.